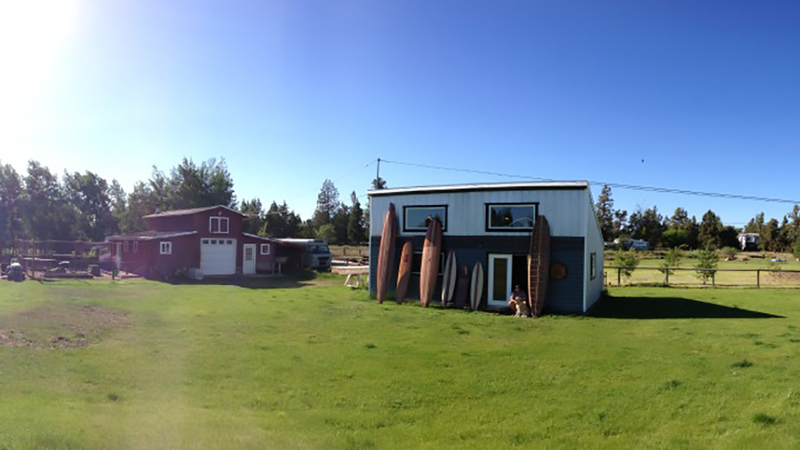 Surf enthusiast and master craftsman Greg Bridges opened the doors of Eager Beaver Surf Co. in 2008. As one of the top places in the world to standup paddleboard, it stands to reason that Bend should have its own custom board shop and Greg fills that niche beautifully, producing a full line of plans, CNC cut frame sets, and complete building kits for hollow-core wood standup paddle boards and surfboards. A complete building manual is included with every board showing the steps necessary for creating a hand-crafted board. Pre-cut kits vary in length and accommodate paddlers ranging in size from 100-260 pounds, and custom kits can also be created. Combining 30 years of shaping knowledge with 18 years of teaching, Greg also shares his skills through week-long workshops that provide intimate, hands-on instruction for the do it yourself enthusiast. Each Eager Beaver surfboard and SUP represents the quality, beauty, attention to detail, and functionality that only an expert artisan can provide. Whether you want to practice yoga on your paddleboard in the middle of a tranquil lake or ride the towering waves on a custom-fit surfboard, you owe it to yourself to see what makes Eager Beaver Surf Co. an ideal option for the discerning surfer and paddler.